Alongside the familiar pitched battles, regular sieges, and large-scale manoeuvres, medieval and early modern wars also involved assassination, abduction, treason and sabotage. These undercover operations were aimed chiefly against key individuals, mostly royalty or the leaders of the opposing army, and against key fortified places, including bridges, mills and dams. However, because of their clandestine nature, these deeds of "derring-do" have not been studied in any detail, a major gap which this book fills. 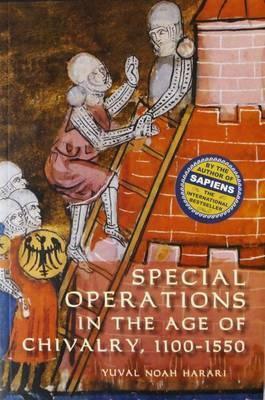 It surveys a wide variety of special operations, from the eleventh to the sixteenth century. It then analyzes in greater depth six select and exciting operations: the betrayal of Antioch in 1098; the attempt to rescue King Baldwin II from the dungeon of Khartpert in 1123; the assassination of Conrad of Montferrat in 1192; the attempt to storm Calais in 1350; the "dirty war" waged by the rulers of France and Burgundy in the 1460s and 1470s; and the demolition of the flour mill of Auriol in 1536. "A portrait of espionage, covert operations, assassination squads, and the deep penetration of seemingly invulnerable fortresses or security systems matching anything to be found in the war stories of the modern era." MATTHEW BENNETT, SANDHURST. Professor YUVAL NOAH HARARI teaches at the Hebrew University of Jerusalem, and is the author of the international bestseller Sapiens: A Brief History of Humankind.